Lawrence J. Cohen, Ph. D., is a clinical psychologist specializing in children's play, play therapy, and parenting. He is the coauthor, with Michael Thompson and Catherine O'Neill Grace, of Best Friends, Worst Enemies, a book about children's friendships and peer relations. He is also a columnist for The Boston Globe. 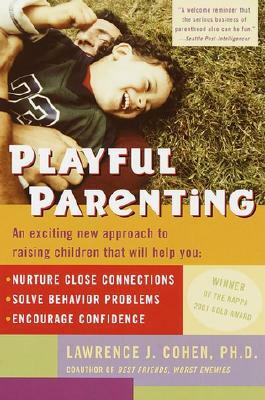 Dr. Cohen leads Playful Parenting workshops for parents, teachers, and child-care professionals. He lives in Brookline, Massachusetts, with his wife, Anne, and their daughter, Emma.